I'll admit it: I was completely stumped; for almost all of the running time I had no idea where Michael Powell was going with this one. (Not that there are any twists in the plot - my uncertainty was of a different kind.) I think this made me all the more delighted when I at last found out. Although it was made without co-archer Emeric Pressburger, we see the old Archers' logo at the start; except that this time it's overlaid with `A Michael Powell Production' - in tiny letters. This gave me a pang of sadness. 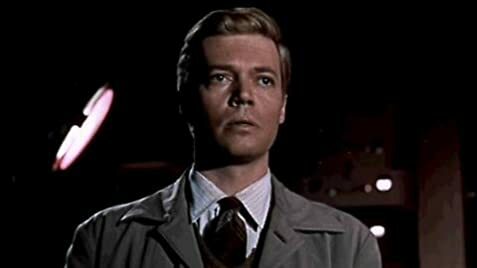 `Peeping Tom' all but completely destroyed Powell's career; and however much and for whatever reasons critics and audiences may have loathed the film, this simply ought not have happened - especially since, good or bad, it's manifestly the work of a director at the height of his powers. The photography is wonderfully assured, the colours are as bright and stark and controlled and fantastic as ever, the script is clever and trusts to our intelligence, and Powell still knows how to keep our minds glued to the screen even when our eyes tell us that nothing much is happening. Every scene is unsettling. Most are creepy. I could go on about the technical details - the use of sound and music is amazingly innovative, too - but what really elevates `Peeping Tom', what makes so many of the contemporary criticisms absurd, is its compassion. There's none of that watered-down Freudian guff we encounter in `Psycho'. Powell makes us feel for his serial killer - not so much by showing us that he feels pain but by showing us that he has ordinary, likeable human qualities as well as madness. A number of Powell's war-time said the same thing about Nazis. It's clear that he really meant it. Not that this is an overt message of `Peeping Tom', and not that there aren't a lot of other things going on as well. I not only recommend, I BEG, that any admirer of Powell's earlier work give this one a try as well. Since Powell is striking out in a new direction there's an excellent chance you won't like it; but it deserves to be tried.